Blogfabrik, a co-working space for freelancers in Berlin, doesn’t ask for money for rent space, but for content. Freelancers can use this work space, which is owned by DailyBreadMag, if they submit two pieces of content for their publication every month. They also have to advertise their pieces through their social media accounts. Better yet, this collaborative office space also gives freelancers access to a photography studio, event space, and meeting rooms. Talk about a pretty cool office space. Blogfabrik is leading the way with this new set up. Who knows what else we could pay for with content? Here are a few ideas of ours for more content currency. If you’re currently between paychecks, maybe you could supplement some rent money with free content and publicity. 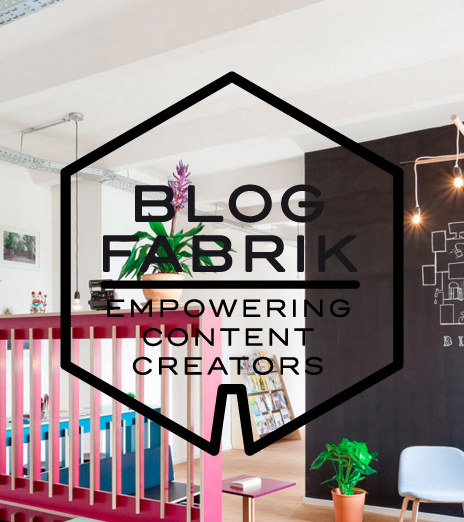 If, like Blogfabrik, your building is owned by a corporate entity, you could write a couple blog posts for some money off your rent. Maybe you ask your roommate to cover you for a bit, and you’ll write really flattering posts on their social media pages. How many times have you been out and about and in need of a bathroom? Most places have bathrooms for paying customers only. Sure, you could buy a drink at local cafe for access to their bathroom, but what a waste of money! You cannot use the exact Blogfabrik model, but you could give a positive Yelp review or mention the place glowingly in a Facebook status update, and you could go for free. This content economy could be extended beyond Blogfabrik’s rent model and into travel. It’s incredibly expensive to take a plane somewhere in the United States. Maybe you could write positive reviews on various platforms for the airline you’re taking for a flight discount. It would probably encourage more travel at least. To be sure, this is only the tip of the iceberg for paying with content. Blogfabrik is leading the way right now, and as freelancing becomes more popular in the United States, perhaps we should follow their lead on this. In a few years, maybe we’ll be paying taxes on the amount of web content we have. « The Three Best Fitness Websites	» What is Hypertext and Why does the Web Need it?